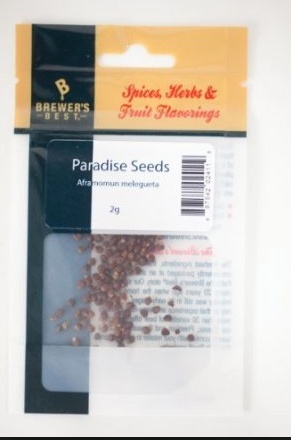 Also called Grains of paradise,Guinea grains and Melegueta pepper, these small seeds look like cardamom but have a character all their own. The spice is native to West Africa and during medieval times was used to flavor food. 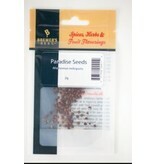 It has also been used as a pepper substitute. While it does have a peppery zing, it also has notes of citrus and an earthy pine aroma.